repairs and installations, big or small. For more than a decade Babe Roof has been safeguarding Long Island buildings from leaks, rips, blistering, billowing and other damages. Commercial roof maintenance is also very important when it comes to restoring and/or increasing the value of your building. 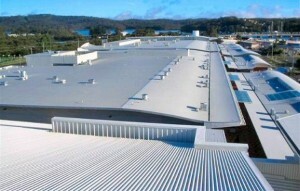 Commercial roofing at it’s best. knowing that we only use the highest quality materials and brand. Babe Roof is experienced with every available roofing system, allowing us to provide you with a state-of-the-art commercial roofing for your building.